I know that seasonal weather varies greatly, depending upon where you live. I live in the south, so for me, May is spring’s last great hurrah! May is typically the last month that I can count on beautiful days with warm temps and low humidity. This month, you’ll usually find me scurrying around like a busy bee trying to get all of my outdoor refreshing completed before the summer heat and humidity set it. I tend to keep a running list of things that I want to accomplish and it’s a great feeling to check those things off! So with all that being said, here are five things that I want to make sure I complete this month so I can really enjoy those long, lazy summer days. My outdoor spaces turn into a big ole hot mess early in the spring. Between the pine tree pollen, maple tree helicopter seedlings and the oak tree squiggly thingys that fall everywhere, I really need to spend some time doing general cleaning – both in the yard and on my front and screened back porch! This is the time that we clean out and refresh the pine straw in our natural areas, replace any foundation plants that didn’t survive the winter and get all of our watering hoses ready to go. My screen porch gets stripped bare, so that I can hose the pollen off all of the surfaces. 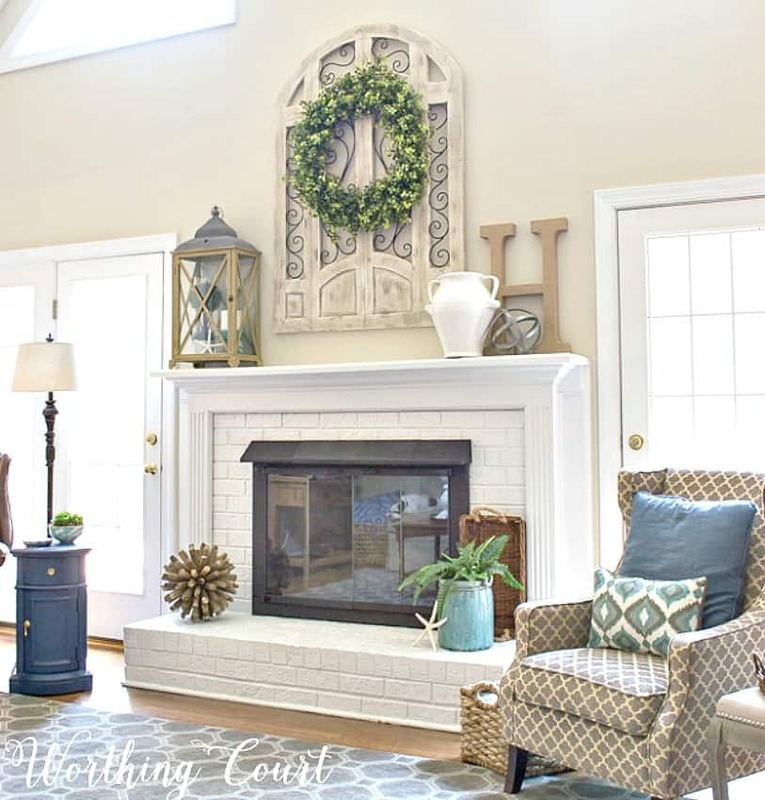 Everything that can take a good dosing of water gets dragged out onto the deck for a good hosing down – the rug, the furniture, the accessories…everything. What can’t take the water gets wiped down with a damp cloth and all of the accumulated cobwebs are brushed away with a broom. TIP: When choosing an outdoor rug, make sure it is one that can be simply hosed off for easy peasy cleaning! 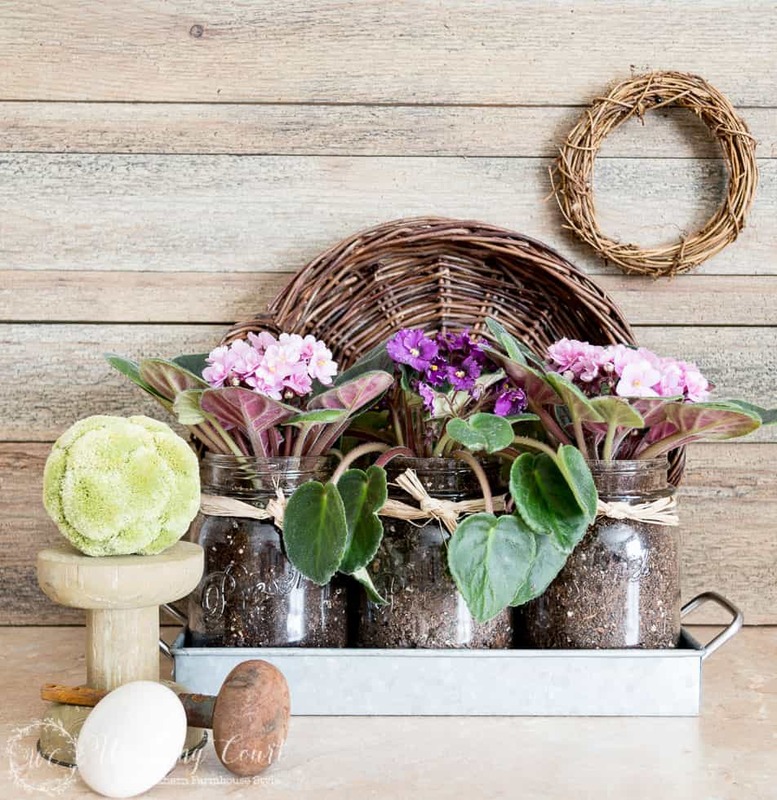 Get those containers plant ready! Once all of the outdoor cleanup is completed, I’m ready to get plants into all of my containers. If I didn’t already do it at the end of the summer last year, I’ll dump all of the old dirt out and give my containers a good hosing down. Once they’re dry, in goes new potting soil and new plants! I usually try to do a little something different every year, so my wheels having been churning since late February! TIP: I’ve found that using a good quality potting soil makes a huge difference in my container plants. I always spend a few extra dollars to buy a good quality potting soil at a garden center instead of at a big box store. Spending those few extra dollars saves me money in the long run by helping to keep my plants alive and healthy! Don’t forget that Mother’s Day falls on the second Sunday every May! Be sure to honor and show appreciation to that special woman in your life, no matter what role she plays. My mom passed away a few years ago, but I always spend the day reflecting back on her years on this earth. Mmmm…I can smell those burgers on the grill right now. Memorial Day, Flag Day and Independence Day will be here before you know it! 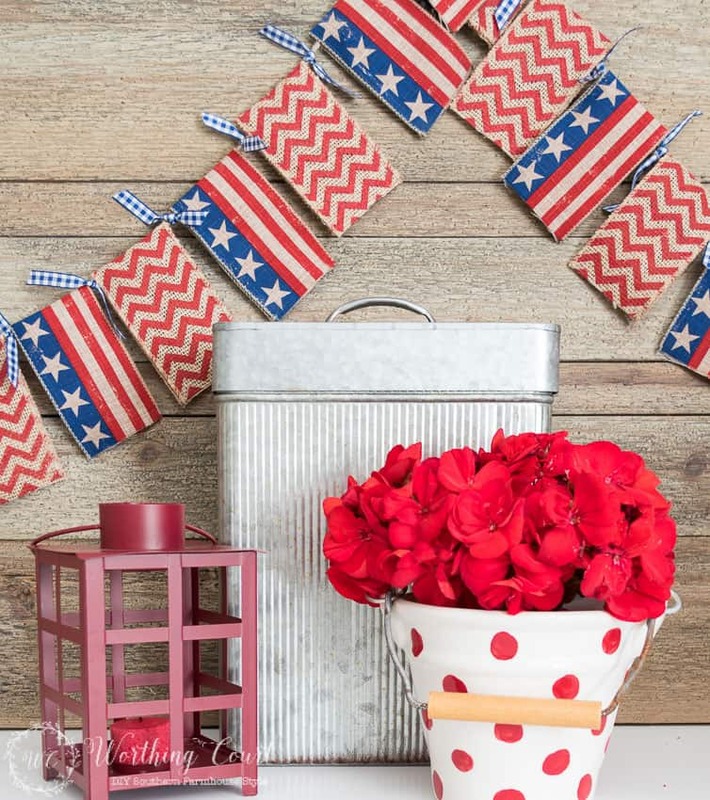 Now is a great time to start gathering your red, white and blue decorations and working on those crafts! EASY PATRIOTIC BANNER GARLAND – NO SEWING AND NO TEMPLATE REQUIRED! DON’T RUSH THE END OF SPRING! And lastly, make sure that you enjoy these last blissful days of spring! Take some time to get outside where you can relax and rejuvenate your mind and body! Some of my very best blogging buddies are hosting a twenty-eight day Bible study this month called The Comparison Trap and you’re invited!. Get all of the details HERE. So, tell me – do you have a monthly to-do checklist? What’s on it for May? I love to look at your designs. They always inspire!! Have a great day! Your spaces are perfection! Thanks for the great tips on this first day of May! Happy May Day!! Just remembering when I was a child, we would make May baskets and surprise Gramma and the neighbors. We loved to knock, run and hide to see their reaction. I am sure they knew it was us but it made us giggle to think we fooled them. Love all your ideas, thanks for the inspiration. Enjoy your day. Happy May Day! You always inspire me. Thanks for the May tips. My garden and porches will definitely look better this year! I’m ready for the weather to warm up in the Midwest. HappyMay Day and here’s to a warm spring so I can finish my porch. I needed a reminder not to rush Spring! It’s such a beautiful time of rebirth and anticipation! 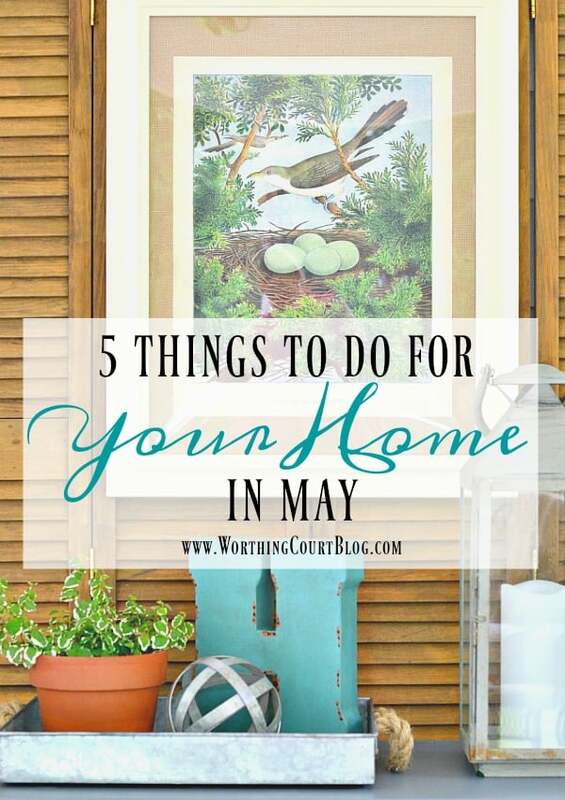 I was thinking of pulling out my summer decor this past weekend and I made myself stop and think about what a great month May is and that I need to enjoy it and use it to prep for those summer days when I just want to live like I’m on vacation! Happy May Day to all. Thank you Suzy for all your suggestions, ideas and the inspiration I know will be coming for Spring and Summer! Happy May Day!!! I have many of the same things on my to-do list. Hoping to start cleaning the back patio and pool area this week. GHreat list – thanks for sharing. Suzy, I love the tidy yet whimsical, imaginative but not scattered look you create. Wouldn’t it be nice of our transformations stayed permanently clean and fresh? It’s been several years since our last big spiff-up, and boy are we ready for some do-overs. My brain damage make decision making and organization quite difficult. You are always tossing great ideas into the basket. I so appreciate it! I am ready to get rid of the last signs of winter and start to welcome some lovely spring weather here in the north. Can’t wait to get some plants in the ground. 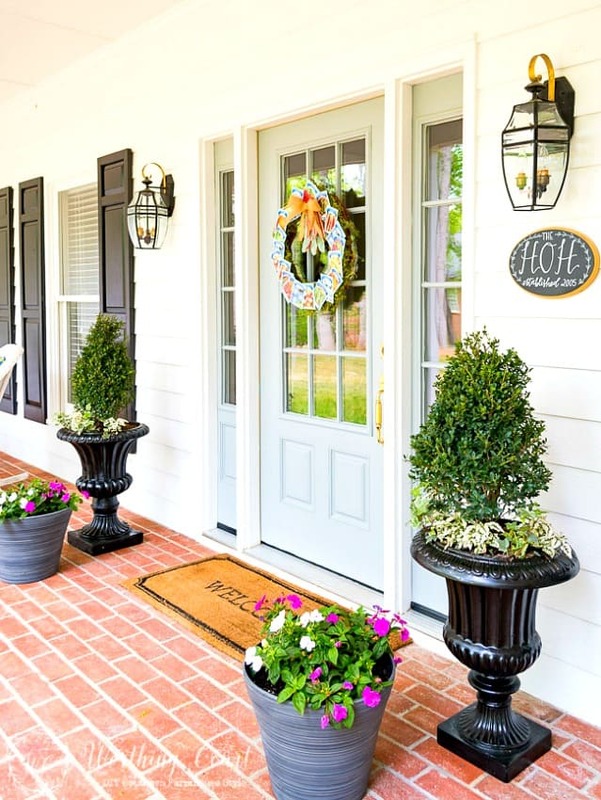 I love your front entrance planters. They make such an elegant statement of good things to come when you open that door!! Great tips Suzy! I’ll be working on my porch and potted plants this weekend also. I “shopped” at the local curbside when I saw shutters had been put with someone’s garbage. They’re in great shape, but the paint needs to be stripped and then I’ll stain them. 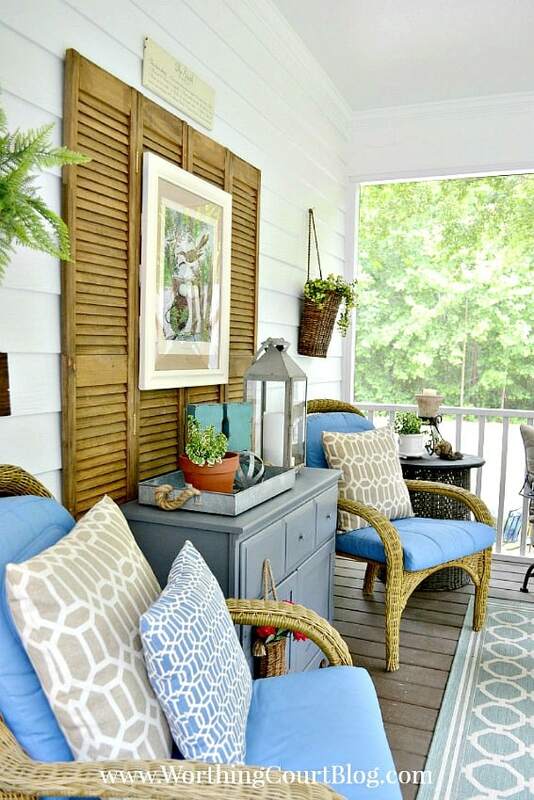 Love how you used yours on your back porch.